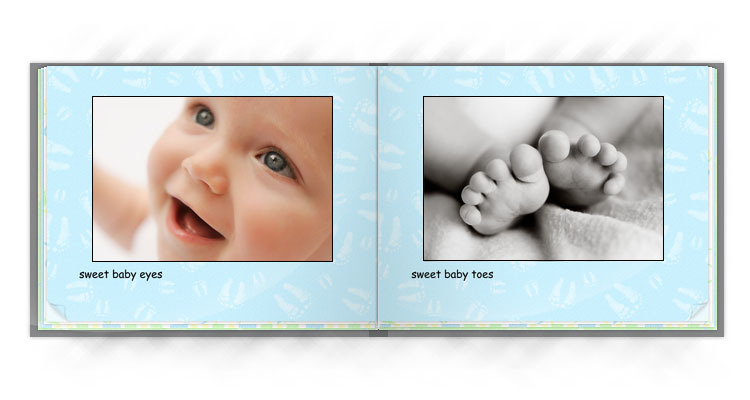 We offer many Background Style Sets to help you create the perfect photo book for any occasion. Our Photo Books offer styles to help you cherish each moment and create personalized albums that will last for generations. 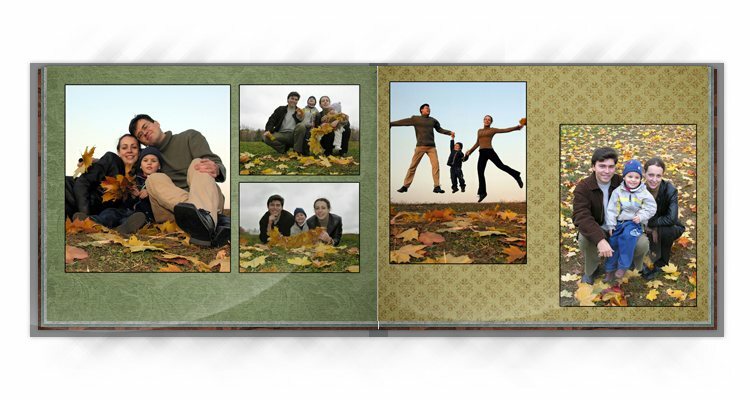 We also offer styles commemorating popular holidays so you can design a photo book themed any way you like. All Book Base Prices Below Include 20 Pages. Additional pages can be added two (front and back) at a time, Maximum 74 pages. Depending upon the book style you pick, start with a one-photo or two-photo cover*. Add a book title if you wish, then flip to the inside to build your book by adding author, date, overview—whatever you like. The book designer walks you through the process page by page. *Photo book cover options vary by product. Winkflash design templates show you which products can support one or more cover photos. 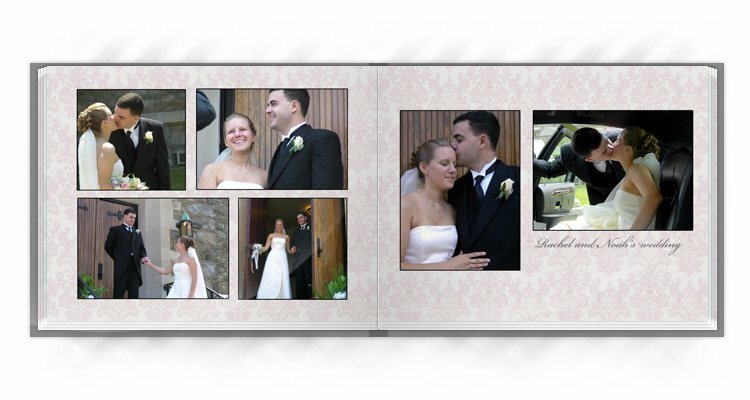 We selected the Lay Flat Photo Book style to make a bridal party personalized photo book. From the moment she selected her maid of honor to the instant she drives off with her groom, we asked the bride to share her best photos and quotes and silly stories while en route to the altar. What resulted is a wonderful memory book assembled as a gift for a group of very special ladies. We chose the Lay Flat Photo Book for its hardcover binding and pages that are side sewn and case bound. We opted to show one photo on the glossy cover and one photo on the back. Our title, “Secret Life of a Bride and Her Bridesmaids” along with the event date, personalizes things. The default 20 pages was more than enough to meet her needs, and the 8.5×11 edge-to-edge printed pages look spectacular. Regarding what we placed inside, well that’s secret! If you are looking for something to keep at home, then you will probably want a bigger photo book such as a Custom 12×12 Hardcover Photo Book or an 8.5×11 Custom Photo Book. You can find all our affordable photo books right here! We know how much you love taking photos during your holidays and vacations! 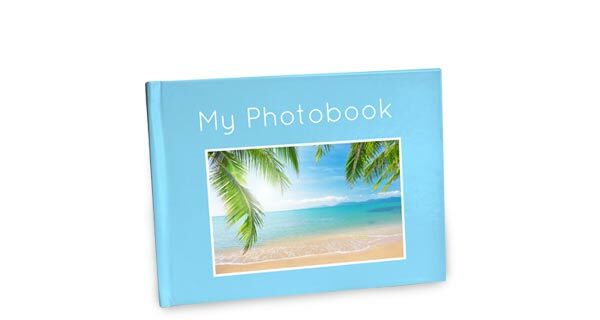 With our low prices on photo books, Winkflash makes it easy and affordable to create holiday photo albums or summer photo books. We offer the cheapest photo books when it comes to price, but we never compromise on quality. Many of our customers spend hours just looking through their Photo Books after receiving it. You will absolutely LOVE our high quality photo books! Are you a scrapbook enthusiast? In addition to our collection photo books, we offer custom scrapbook pages! Easily create scrapbook prints for your album by uploading your photos and choosing a template to show off your memories. Our scrapbook pages are available in three sizes and make your life a little easier. Forget the glue and scissors. Create digital scrapbook prints in minutes and have them delivered right to your door! Why wait? Whether you decide to make a new album for your shelf, a 12×12 photo book or something else, start recording your memories and gathering your photos now.